The staff was super friendly and helpful! They'll give you a quick tutorial if you've never done it before. 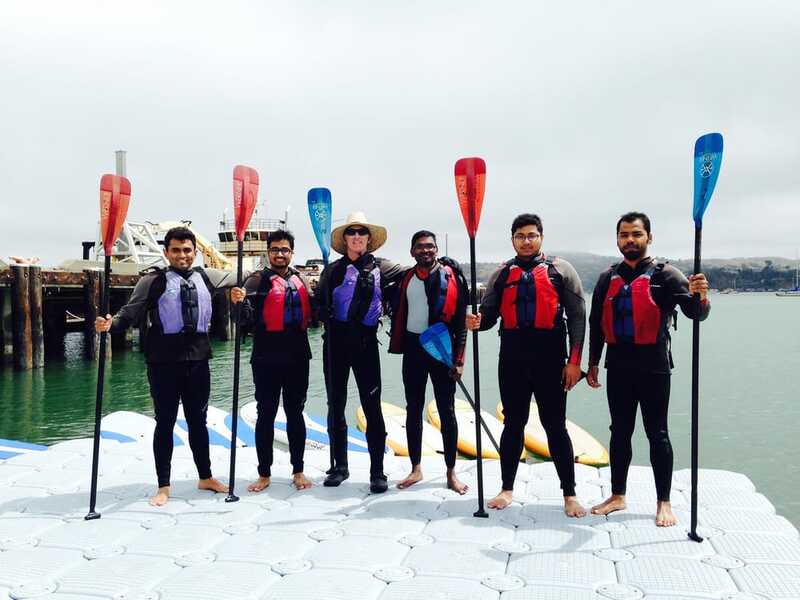 The friendly staff will suggest the best way to kayak, depending on the weather. In one direction you can paddle by the adorable houseboats, the opposite direction takes you down past the restaurants and hotels of Sausalito. Pretty views of San Francisco, with sea lions and lots of birds to enjoy. We went for the Scenic Sausalito tour, reserving online the day before. We appreciated signing the waiver online before arrival, which saved time on check in. They had clean and dry equipment (wetsuits etc) for the 10 am start, and entry was smooth into the kayak, with clear instruction and paddling guidance. Would recommend to others. If planning to kayak, wear layers you would be comfortable having under wetsuits to keep warm!